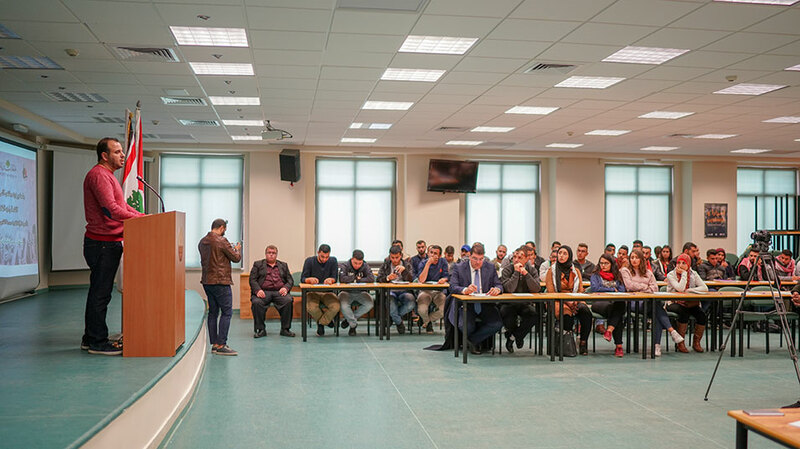 Representatives of student movements in seven universities across the West Bank met today at Birzeit University to discuss the prospects of a unified student-led movement in Palestine on Tuesday, November 6, 2018. The meeting, a discussion organized by the Deanship of Student Affairs at Birzeit University together with the Youth Partnership Forum and the Khutwa Association for Social Development, featured students from Al-Quds University, the Palestine Ahliya University, Al-Quds Open University, the Arab American University, An-Najah National University, the Palestine Technical University - Kadoorie, and the Modern University College. 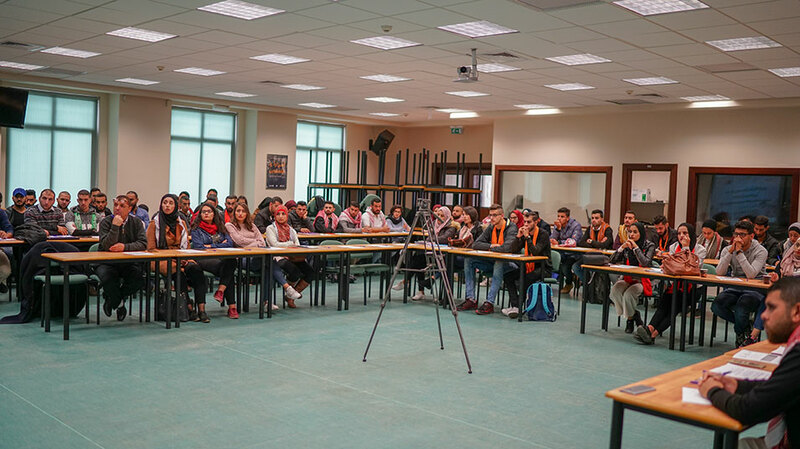 Dean of Student Affairs at Birzeit University Mohammad Al Ahmad stressed the significance of holding such meetings and sessions with students, noting that the future is built by today’s youth. 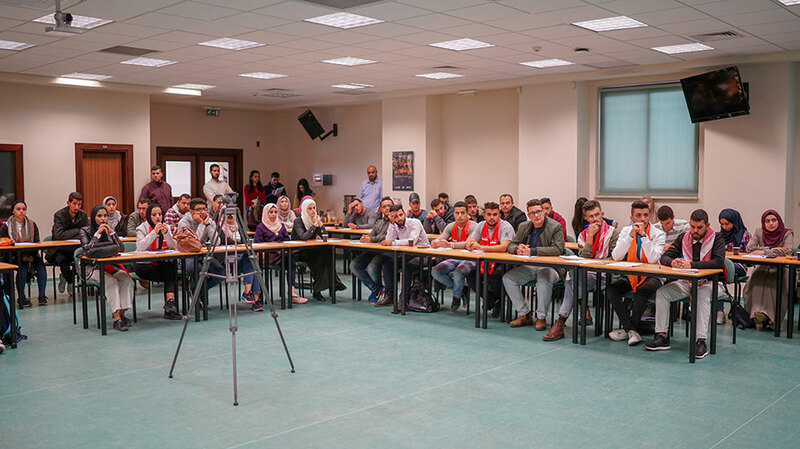 At Birzeit, Al Ahmad added, the student community leads by example on how to unify Palestine through student activism that incorporates all sides. Activism at Birzeit University, he commented, brings everyone together for the benefit of the students themselves. 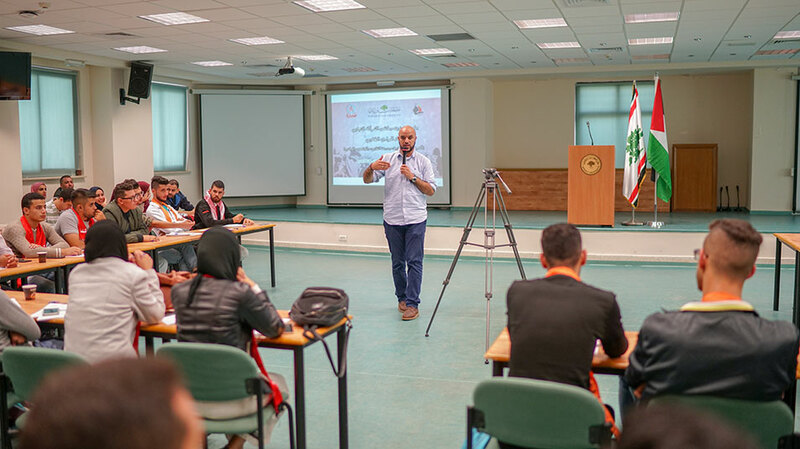 Rami Mas’ad, coordinator of the Youth Partnership Forum, gave a brief overview of the forum’s history and aims, and emphasized the role of student-led symposiums and events in activating Palestinian student movements. 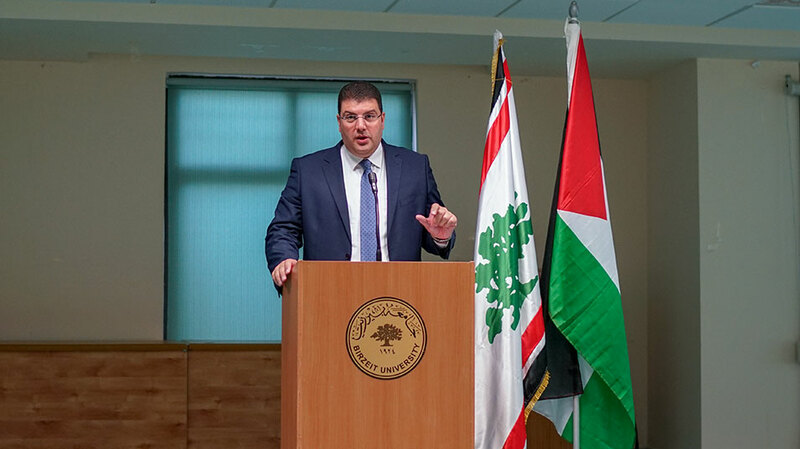 The Youth Partnership Forum, Mas’ad said, was founded in 2008 with the aim of bringing together Palestinian youth both in Palestine and abroad in challenging, and overcoming, the obstacles and challenges that face Palestine and the Palestinian community. 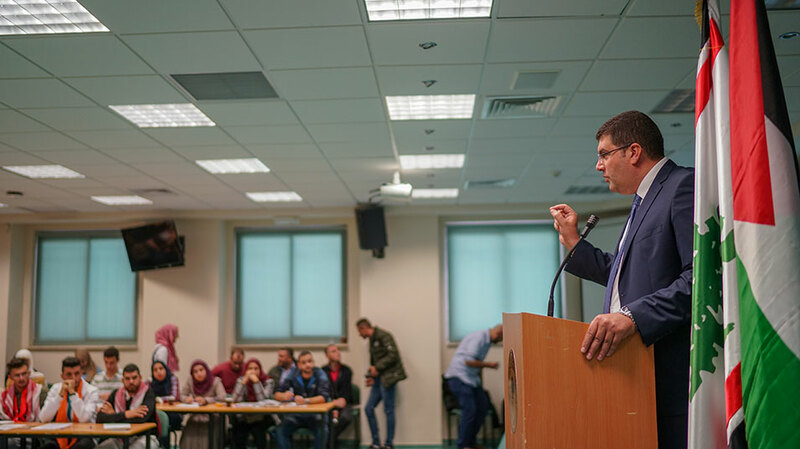 “We’re working toward unifying and focusing youth energy through a number of initiatives and programs that, among other things, bolster Palestinian presence in areas under constant harassment and attack by the Israeli Occupation,” he further noted. Mas’ad also said the Youth Partnership Forum regularly implements initiatives that help Palestinian youth. The forum holds and organizes capacity-building workshops for better employability and supports agricultural cooperatives. 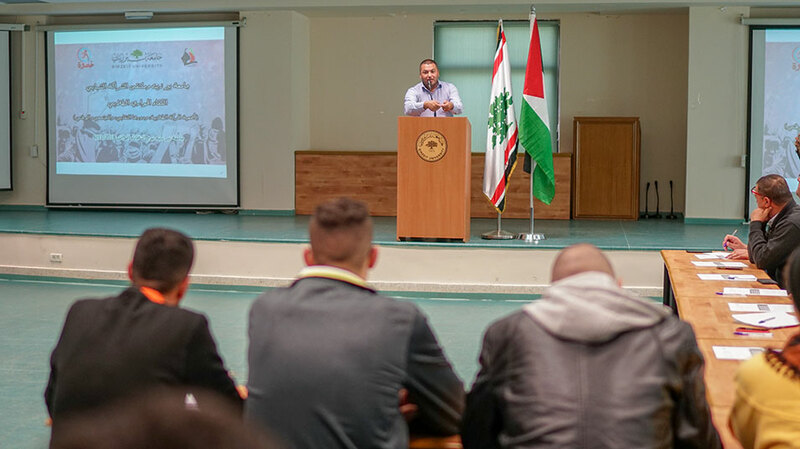 Mustafa Sheta, general secretary of the Freedom Theatre, traced the history of the Palestinian student movement, especially in Birzeit University - from which he graduated - from the early 1990s until the early 2000s. Sheta said the student movement regressed both in activities and in scope, noting that students had a leading role in forming the political and social consensus in Palestine in its early days, but nowadays the movement limited itself to action inside universities. Hazem Abu Helal, a master’s student at Birzeit University and part of the Youth Partnership Forum, chaired a discussion between the attending student body representatives, during which each of the representatives presented their experiences in affecting change as part of the broader Palestinian society. At the end of the meeting, the attendees called for the provision of a space for Palestinian youth and Palestinian student movements to work in a unified manner and emphasized the need for a unified student-led movement that tackles the concerns of not only youth, but those of all segments of the Palestinian society. Additionally, the attendees stressed the importance of democratic discourse in student activism.